LAGOS, Nigeria (AP) — Nigeria's presidency late Sunday announced a "deeply unfortunate killings across a number of communities" in central Plateau State as one report cited police as saying 86 people were dead in clashes between mostly Muslim herders and Christian farmers. President Muhammadu Buhari appealed for calm as the military and police tried to end the bloodshed, and said "no efforts will be spared" to find the attackers and prevent reprisal attacks. Nigeria's government did not announce a death toll. But the independent Channels Television cited a Plateau State police spokesman, Mathias Tyopev, as saying 86 people had been killed, with at least 50 houses destroyed, in violence that appeared to have started overnight. Deadly clashes between herders and farmers in central Nigeria are a growing security concern in Africa's most populous country, which is roughly split between Muslims in the north and Christians in the south. The fighting between herders and farmers by some accounts has been deadlier than Nigeria's Boko Haram extremist insurgency, which continues to carry out attacks in the northeast. 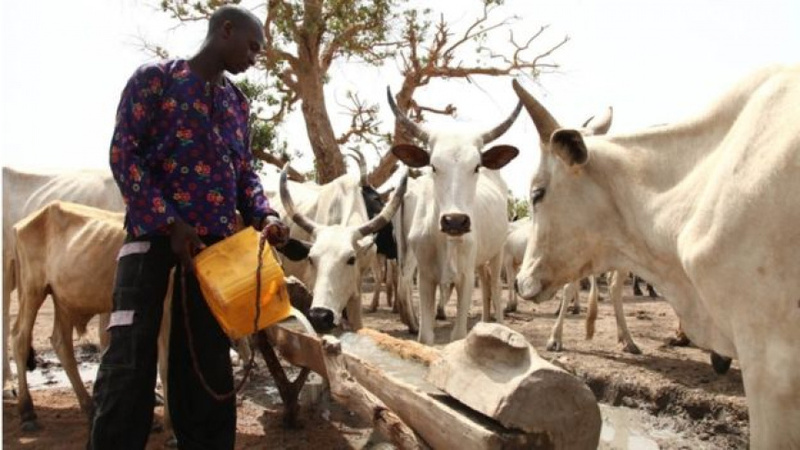 That extremist threat has been cited as one cause of the growing tensions in central Nigeria as herders — also feeling the effects of climate change — are forced south into more populated farming communities in search of safe grazing. While few details emerged immediately of the latest killings, Nigerians for hours Sunday on social media shared a growing sense that something awful had occurred. Earlier in the day the Plateau State governor, Simon Bako Lalong, announced a 6 p.m. to 6 a.m. curfew after saying had woken up to the "shocking news" of the attacks. In a series of message posted on Twitter he gave few details about "this horrible situation." The governor said the curfew affects the communities of Jos South, Riyom and Barkin Ladi "and is in effect until further notice."